PWM Lamp/LED dimmer module, 12V or 24V, 5A (60W at 12V, 120W at 24V) per channel. 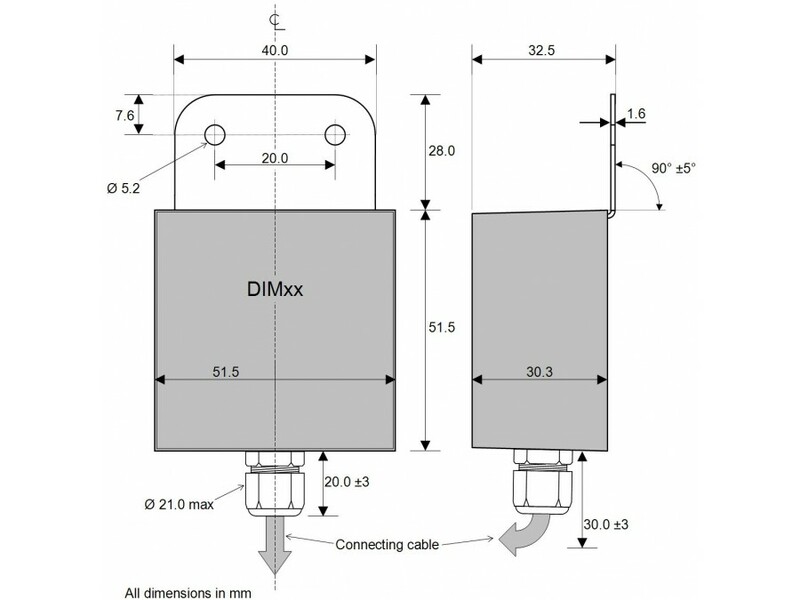 Dual Complementary outputs, IP68 rated (fully waterproof) and wire ended. Controlled by panel mounted potentiometer. 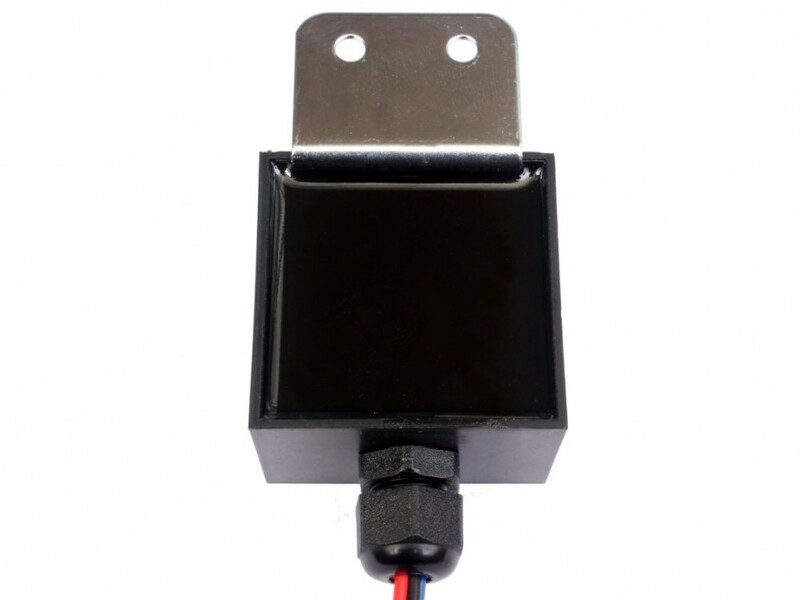 Ideal for marine or automotive dash-panel applications where backlighting and instrumentation illumination needs to be dimmed together. 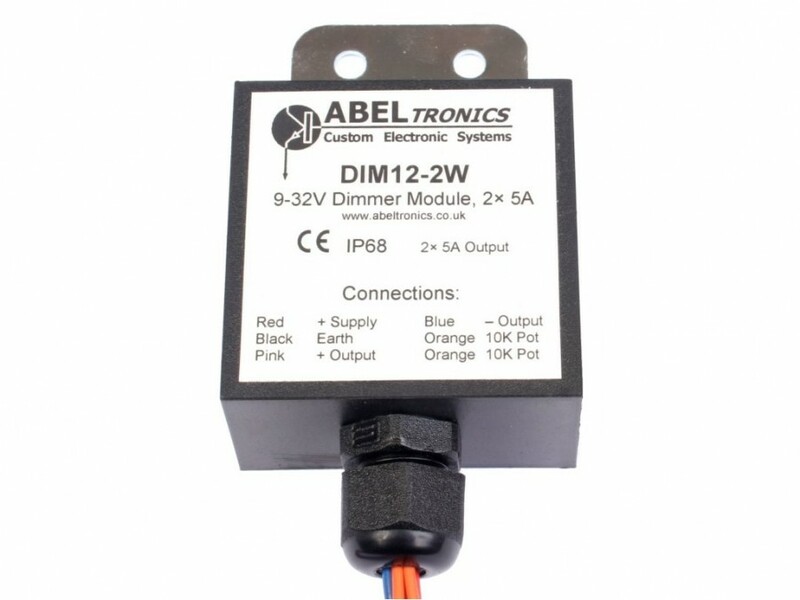 The DIM12-2W is a IP68 rated waterproof dual output low voltage 12V or 24V PWM lamp LED dimmer module specifically designed to simultaneously dim positively switched and negatively switched lamps. 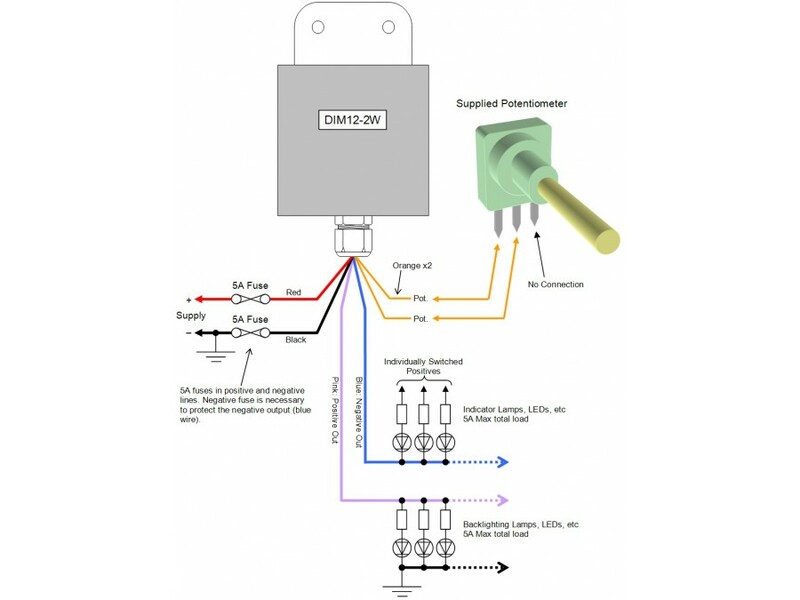 This is useful in control panel applications where the switched positive instrument backlighting and common negative indicators or illuminated switches need to be dimmed at the same time. 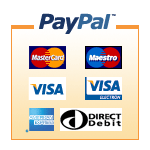 The unit is controlled by a panel mounted potenetiometer (supplied). 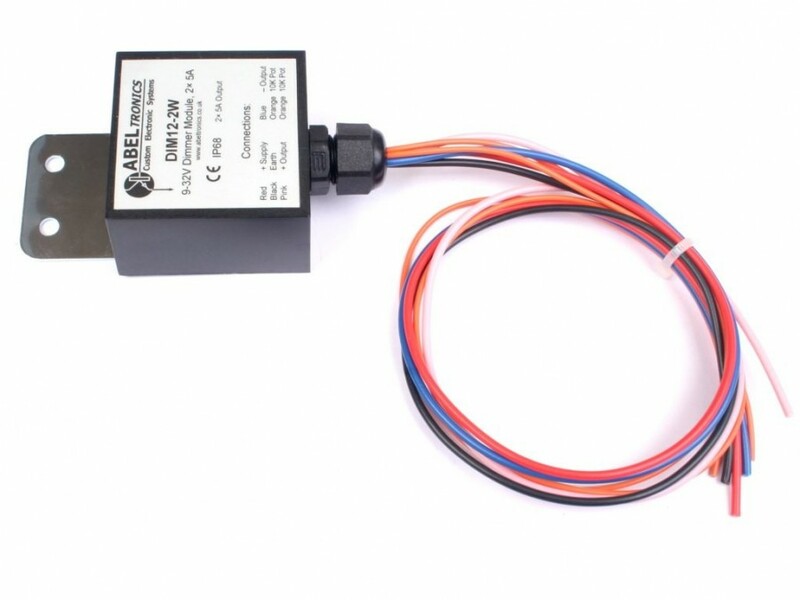 The module is fully ingress protected and wire-ended, and ideal for use in harsh industrial environments or for marine applications.